Unfortunately, due to sales rights restrictions, we cannot offer Reality for sale in your country. In a world saturated with polychrome printed media and ephemeral digital images, painting has a particular power. It requires a direct experience of the work as a physical object; it offers an encounter with the scale of the canvas and the texture of the paint. And although it is one of our most archaic living cultural practices, it survives successfully alongside art forms such as film, photography and installation, which threatened to eclipse it in recent decades. 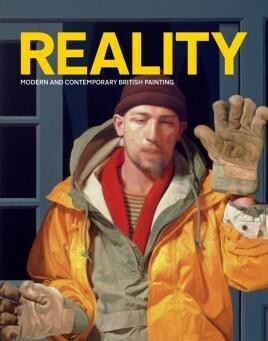 The paintings in Reality: Modern and Contemporary British Painting testify to this power. The thirty-three artists represented - major twentieth-century figures such as Walter Sickert, Francis Bacon, Lucian Freud and David Hockney, alongside contemporary painters including Ken Currie, Gwen Hardie, George Shaw, Jenny Saville and Caroline Walker - tackle subjects ranging from the body to relationships, from history and politics to war, and from social issues to the urban environment. Despite this variety, the works are united by two things: a concern with the real and the simple act of painting. Realism - the recognition of what is, rather than what one would like things to be - is a distinct thread in British culture, and the artists in these pages are direct and uncompromising. The harsh realities of everyday life are here for all to see.